Jwareshwar Mahadev is a very angry form of Shiva and it appeared from Shiva’s body when He heard about the death of His consort Sati. As Jwareshwar, Shiva is the Lord of fevers. Legend has it that Daksha Prajapati was not happy with his daughter Sati marrying Shiva. He conducted a yajna and invited all the people except Shiva. The sole aim of the yajna was to insult Shiva. Shiva ignored the yajna but Sati went to the yajna to find out why Her husband was not invited. Daksha Prajapati insulted the ways of Shiva and Sati could not bear these insults. Sati then sat in meditation and stoked Her inner fire and self immolated Herself. On hearing this news, Shiva experienced intense pangs of separation. Soon uncontrollable anger overtook Shiva, from the anger appeared monsters of fever. 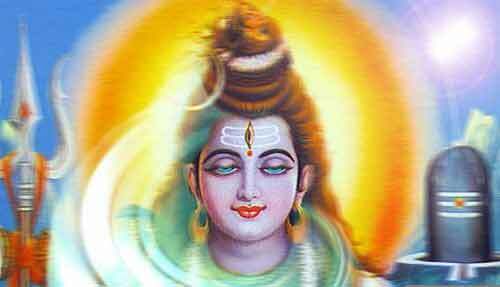 Shiva became Jwareshwar Mahadev – the lord of fever. These monsters went to the yajna and spread fever. Saints, devas and Daksha prajapati had never known or heard about jwara or fever. It caused havoc in the huge crowd that had assembled to participate and witness the yajna. Shiva as Jwareshwar Mahadev is worshipped in a small temple adjacent to the famous Trimbakeshwar Temple, which is one among the twelve jyotirlingas.